Cakewalk has this week launched its latest virtual instrument software Rapture Pro over on Valve’s Steam network and is currently priced offering a 25 percent discount on the £159 price tag down to £120 for limited time until May 25th. 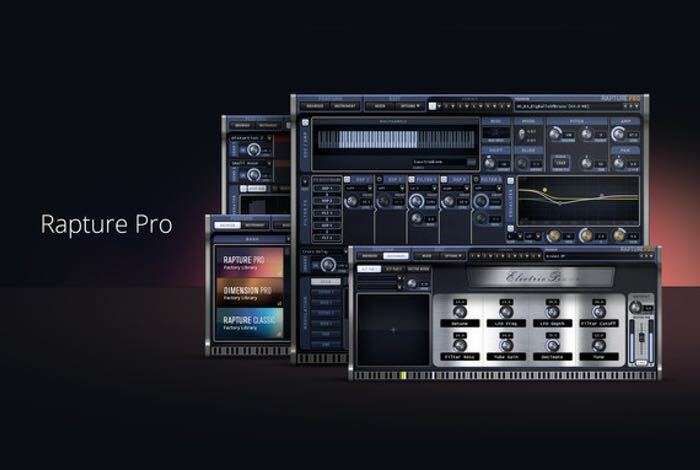 Rapture Pro is compatible with any VST-compatible DAW including SONAR, Music Creator, Cubase, FL Studio, Studio One, and more. “Rapture Pro is the first performance synth to combine oscillator and sample-based synthesis in an intuitive design for musicians of any skill level. Simply load a sound and go! Rapture Pro’s innovative Perform mode connects the studio and stage with exceptional control for real-time expressiveness and a sound library that spans all genres of music. Whether you want a classic piano sound for a smooth jazz ballad, searing rock guitars, breathtaking atmospheres, or cutting-edge, step-sequenced patterns for EDM, you’ll find them all in the massive library of instruments, textures, and soundscapes. For more information on the Rapture Pro software jump over to the Steam website for details.